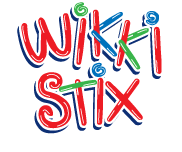 Wikki Stix are basically a wax coated yarn that is flexible, mold-able, and sticks to each other! No glue, tape, etc needed to create your craft. Just bend and mold the sticks together to make 2d or 3D art. Sticks to paper, walls, and each other. They reminded me of creating with pipe cleaners in a way. No pointing ends to deal with though, and these are much more flexible. I was fearful after much use the wax would start to peel off, but I was pleasantly surprised. You can mold them together, take them apart, and create again and they still maintain their waxy finish. Every one of my kids loved this toy! From the 4 year old to the 17 year old, they all had their hand in the pile grabbing sticks to create with. I loved the creativity they had and the things they thought of making. I think with more sticks they would have created even more 3D objects. It was a hit with them and for me! I love that they were using their imaginations, using their hands to create, and working together to brainstorm ideas! The uses for these wikki stix are just amazing. I love this product with the Alphabet cards and Numbers! You can get both for one price right now! I am planning on getting a set for my youngest to do school with! 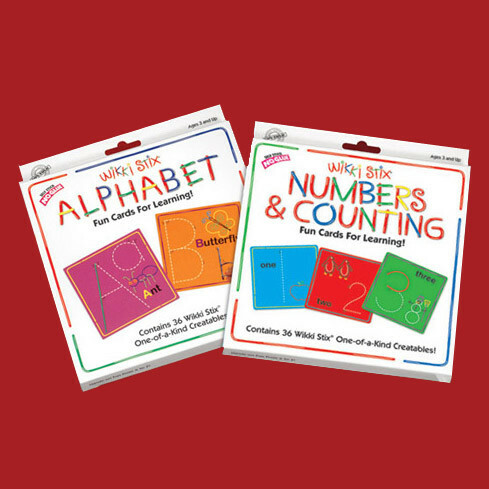 Be sure to visit Wikki Stix online for wonderful suggestions on how to use this educational toy! Melanie, I was so excited to see you reviewing Wikki Stix! You have to mention that all their products are made in USA- a huge deal in the toy industry!